A little rain won’t keep us down! Since beginning the concrete phase of work, the Baxter on Broadway project has been hit by record setting rains. Despite the unusually wet winter, crews have been working hard to make up for lost time. 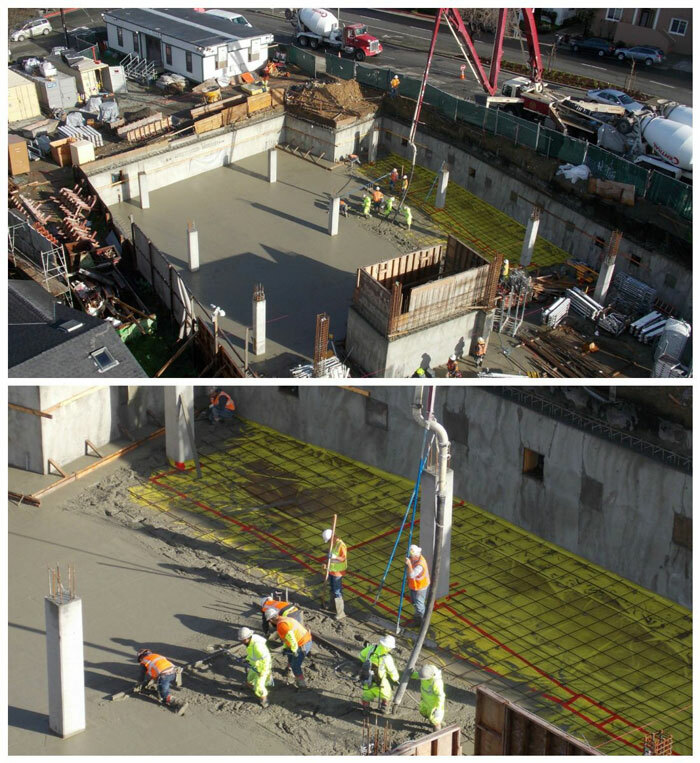 The last slab-on-grade concrete pour is complete and the main building is officially out of the ground! Concrete is progressing nicely on the elevated slabs and wood framing is scheduled to begin in May. For more detailed updates on the Baxter on Broadway project, please visit the News webpage.